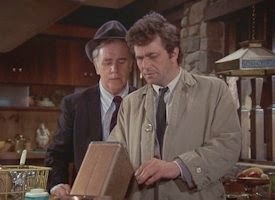 INNER TOOB: TELE-FOLKS DIRECTORY: THE ROLES OF JOHN FINNEGAN ON "COLUMBO"
TELE-FOLKS DIRECTORY: THE ROLES OF JOHN FINNEGAN ON "COLUMBO"
As I've mentioned in the past, I was privileged to meet actor John Finnegan several times in his last years at my place of employ. 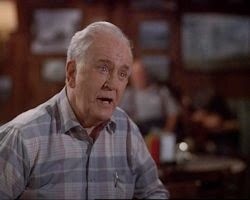 He was a charming Irish-American character actor with a glint in his eye and a nearly Runyonesque New York aura. 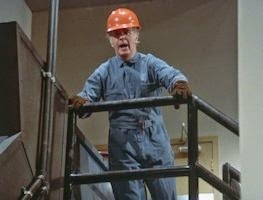 Mr. Finnegan is perhaps best known for his twelve appearances in 'Columbo'. 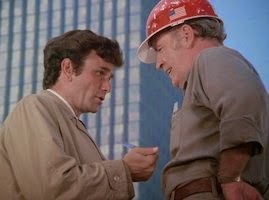 Although I like to conflate TV characters from different shows into being one character whenever possible, it would just be too illogical to attempt that in the case of John Finnegan's 'Columbo' characters. Too many different names and occupations to make that feasible. However, I think the argument could be made that some of the characters he played in the twelve episodes were the same characters he played earlier. 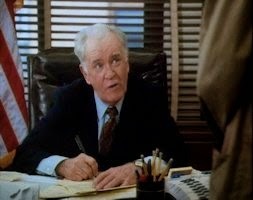 So let's run down the combinations we do have for John Finnegan's roles on 'Columbo'. 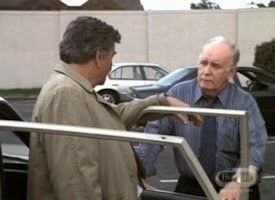 Carl was the foreman on a construction site who met Lt. Columbo during the investigation into the disappearance of Bo Williamson which turned into a murder case. Deciding to take things easy at that stage of his life, Carl retired from the construction business and instead went to work as another hard-hat: a maintenance man in the hotel where chess champion Tomlin Dudek was tossed into the garbage disposal unit. 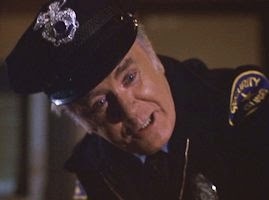 Sean Jarvis had been in show business his whole life, working his way up to becoming the assistant director on the "Detective Lucerne" TV show. 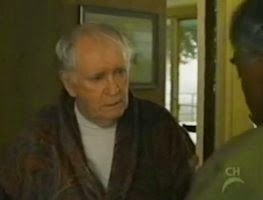 But when the star of that show, Ward Fowler, killed the series' producer, Jarvis found himself looking for work like everybody else on the show. However, at his age it was difficult to find a new AD position and so Jarvis was forced to retire, which made him irascible and embittered. In other words, crotchety. 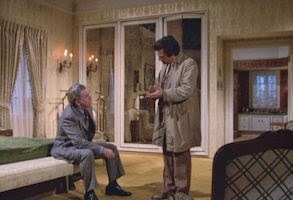 And that's how he acted toward Columbo when the homicide detective was looking into the possible connection between the murder of a tabloid journalist named Linwood Coben and the disappearance of Tony Galper, the son of a reputed mobster. 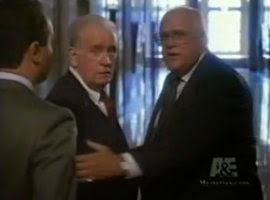 Duffy was a sergeant on the force working with Lt. Columbo during the investigation into Viveca Scott's murder of Carl Lessing. 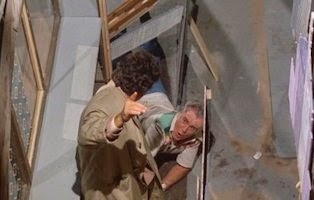 Perhaps he was riding the coat-tails of Columbo's rumpled raincoat, but he received a promotion to Lieutenant soon after that case and was assigned to the Burglary division. 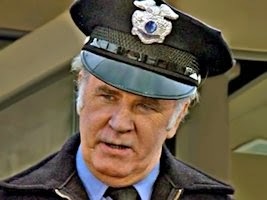 It could be that this case soured Lt. Duffy on being a policeman and since he had his thirty years in already, he decided to retire with an 80%+ pension. Barney decided to get into another line of work entirely by that point. 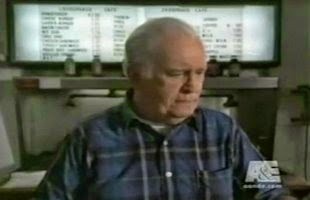 Thinking he might like to try running his own restaurant, he noticed that a diner bearing his name was for sale - Barney's Beanery. 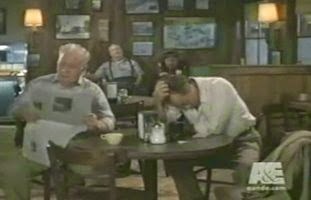 Based on previous raves by Columbo about the joint and seeing this as a good omen, Barney bought the diner. At least he wouldn't have to change the name of the place! 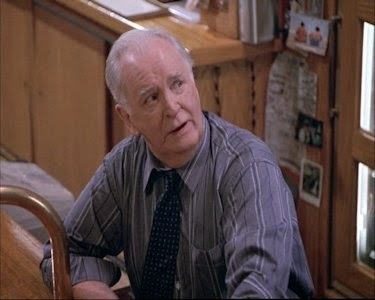 John Finnegan was born on this date in 1926 and this is another tip of the hat to a man I was privileged to meet, giving me a personal link to the world of my fifth favorite TV series of all time. This post would not have been as successful were it not for this Tumblr page celebrating Mr. Finnegan's roles on 'Columbo'. VIDEO SUNDAY - SAUSAGE LINKS.....?